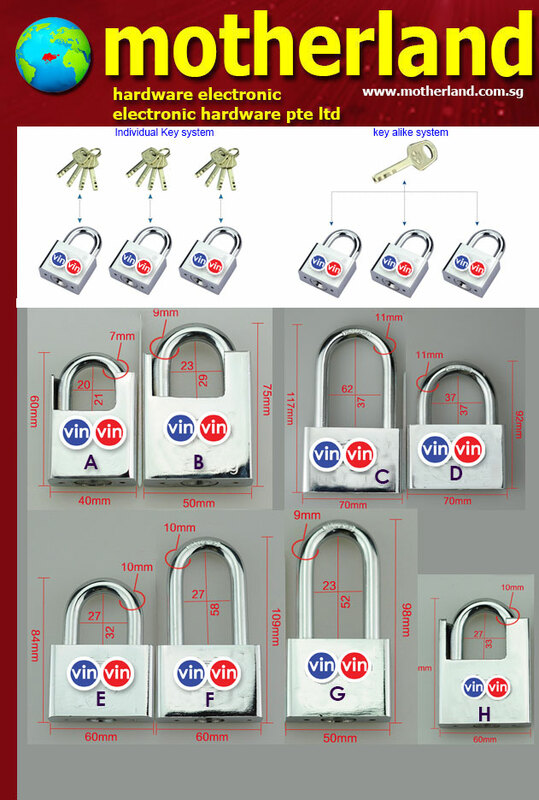 vinvin Keyed alike systems padlock refer to one key opening a number of different locks. This means that two or more locks are operated by the same key. This is commonly used in residential homes for front and back doors. There is no limit on the number of locks which can be keyed alike. Another use for keyed alike system is that a housing developer may want to have the same locks on site, so they just need one key to get into all properties on site. vinvin Keyed alike systems padlock works with a cylinder lock, also known as a profile cylinder lock. The biggest advantage to these cylinder locks are that the cylinder may be changed without altering the boltwork hardware. Removing the cylinder can be done by loosening a set screw and sliding the cylinder from the boltwork, making it perfect for keyed alike system installations. Key control is the most important fundamental in security for your home or business premises. By making use of a system like keyed alike, you can be confident that security will not be compromised. We are able to supply and install any key system to suit your requirements. Feel free to contact us for more detail .